Beautiful card Deb! You have such a handsome family and your pics turned out just lovely. simply gorgeous card, dear deb. here's wising you all the joys of the season! wish you and your family a very Merry Xmas!! what a wonderful idea (and card).. too late for me to try now, I have already sent traditional cards, but next year for sure I will make some cards like that as well.. just beautiful! MERRY CHRISTMAS! You have such a beautiful family! Have a Merry Christmas! Your family looks like very happy. Have a nice Christmas season. That's a lovely card that you have created. Beautiful captures, beautiful family. Merry Christmas! That is a lovely card of a lovely card. Great shots Deb and I luv the simplicity! your family is beautiful! your cards turned out great. :) thanks for hosting This and That! Love your card this year!! I blogged my card today too!! First of all Deb, you look great!! :) What wonderful photos and I love the colors on your card! Merry Christmas to you all too! Beautiful family portraits and thanks for the link to the freebies! What a beautiful family you have! I'm glad SOME ONE is on the ball around here, as I feel as if I've dropped mine! Merry Christmas to you and yours! Beautiful family! Love your card! Oops...somehow there are two links to my post - sorry! I love your Christmas card - what a lovely family! You are such a beautiful family Deb! Love the card- we worked ours sort of the same way :) Thank goodness for the remote that's for sure. Have a very Merry Christmas! such a beautiful family! Happy Holidays! Great photos for a great card! We haven't even attempted a family photo for the Christmas card since the kids were young. I just select photos from though-out the year; it works for us. Thanks for hosting This or That Thursday; it's been a source of enjoyment for me. What a beautiful family! At least your husband still looks taller than the boys - for now :) Although I can understand that it's strange when your babies get taller than you, I always am happy for boys to grow up to be tall men. great photo and Christmas card! Such a great looking family!! Merry Christmas to you and yours. Loved your beautiful card! And we sure love your wonderful family too! Looking forward. To sharing the new year with you! 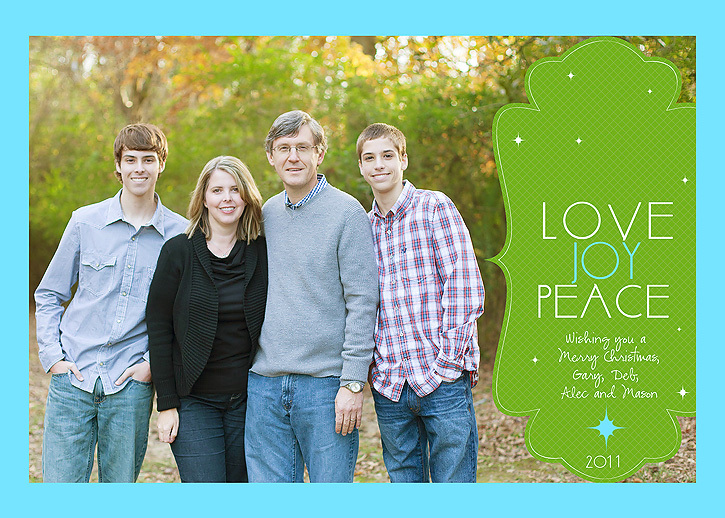 Beautiful card and beautiful family! I just got a remote and need to figure out how to work it. Finally realized I need to be in a shot or two too! A beautiful portraits, I like their faces so naturally. Greetings. I love that photo! And the one of the boys. The design of the card is so simple yet gorgeous and elegant. Happy Thursday! Great photos. Have a very merry Christmas. Wishing you & your lovely family a very Merry Christmas! LOVE the card! You have a beautiful family and your photography always does them justice! it's quite amazing, really . . . Visiting here for the first time from 4 Lettre Words and I linked up too. You have such a beautiful family! Your boys are so handsome! I love that template. It's so simple and such a clean, classic look. Great job! Oh I love your card!! It is awesome. These pictures are amazing! I can't believe you did them with a remote. Why oh why was that not on my christmas list?!?! I love it! Merry Christmas Deb! I'm going to look into the Project Life system. I'm anxious to get scrapping again! 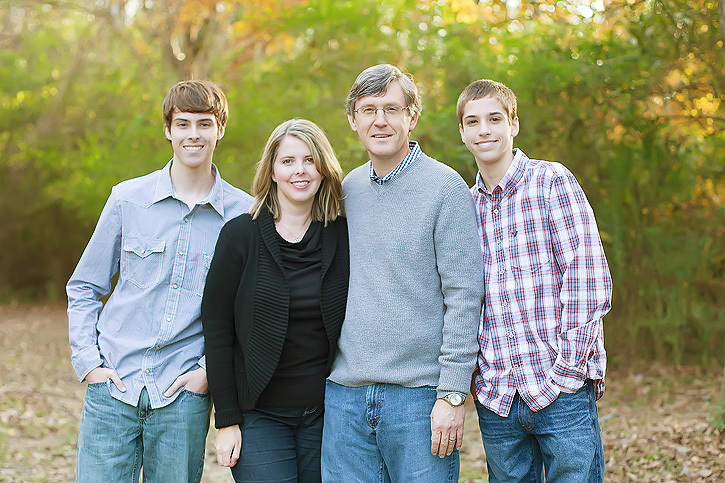 Oh Deb, your family shot is so wonderful. I love how it turned out. As always the photo of your boys is superb. 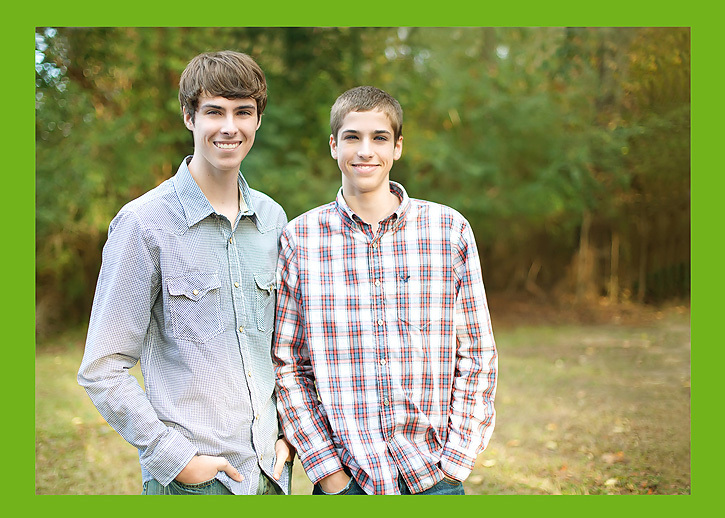 They are just such handsome young men. I know you are so proud of them. Well done! Excellent photo! May you have a peaceful Christmas filled with lots of goodness! Wonderful Christmas card. Gorgeous family. Deb - I just had to stop by quickly to tell you that I LOVE your family picture! It is fantastic of all of you. That is one you will treasure. Merry Christmas Deb...Hope you and your family have a fabulous one! What a gorgeous family shot Deb!! Stopping by to wish you and your family a very Merry Christmas. Great card! Your family is beautiful! I love your card! The light is gorgeous and you did a wonderful job. Mine would never look this way if I did it with a tripod. You have a beautiful family! Have a wonderful holiday! Such a great card, a lovely family and those boys sure are handsome!! great photos and card Deb! Beautiful family!